They are from ch.5 of GS5! 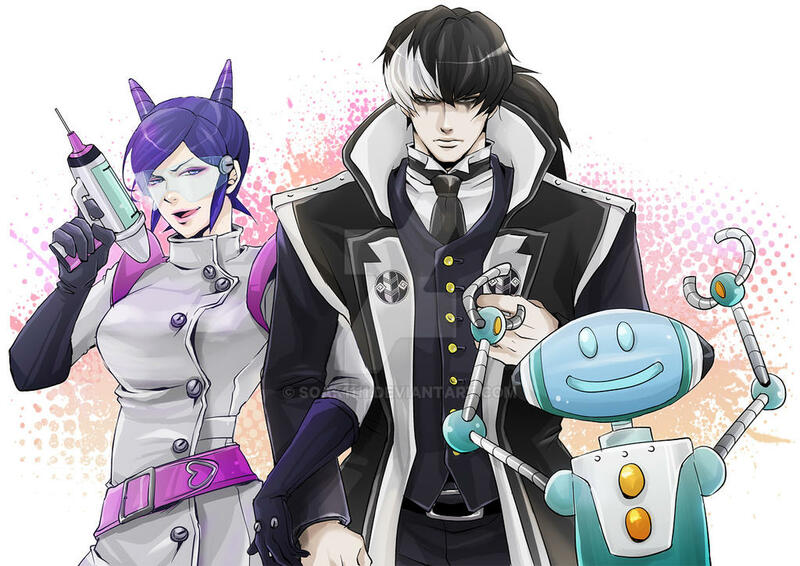 Ah, the Blackquill siblings. Aura's my fav! Aura: Don't abuse the Hunk of Junk, Simon. That's MY job. Just finished DD last night. Love these guys! Great art of them! Me: Hey Simon can I date your sister? Simon: *cuts me with his sword, " Leave now or I WILL Slice off every single limb you have starting with your head!" Simon: You coward, have you no Honor?! Finish the duel you have started! I love the way you drew Simon/Jin. I think he's goin to become one of my favorites! Hopefully there'd be news on a release date soon so I can play Dual Destinies! I thought it was black jack for a second ^^"
OH MY GOD I LOVE HOW YOU DREW YUGAMI AHHHHHHHHHHHH~! I can't wait for this game!! Your Yugami looks great! My next favorite character has to be yugami. Man... He's such a cool guy... It was an awesome game!